After 14 years of working in the computer industry, I was naturally drawn to the concept of online auctions when I got involved in real estate. I've spent the last 3 years using online real estate auctions and have learned a lot. I've found there is a lot of confusion on how they work or how to make them work. I will share answers to the most common questions in this 3 part blog. Q) Will an auction force me to sell too low? A) No, not if you structure it correctly. There are 3 main types of online auctions. If you use a Reserve Auction, you can set a hidden reserve price on the system and the auction will not be considered successful unless the reserve is met. If you use a Minimum Bid Auction, you don't set a system reserve but you can state in your terms that the winning bid is subject to seller approval. The third type is an Absolute Auction, and this is the only type that could force you to sell it too low. Using this type of auction is not suggested, unless you are prepared to sell at a loss. Q) Are online bids legally binding? A) Yes, if the terms indicate they are and the online auction system has a trail to show the bid was made by the person. There are pages of legal information I can point you to on this, but I want to keep it short. Q) What if the high bidder backs out? A) There is no difference than having a signed sales contract on a property. You decide how much of an effort you want to take to pursue the person legally. 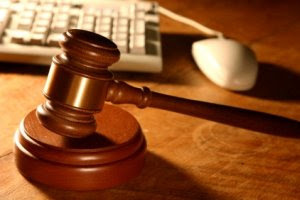 Q) How many properties have been sold through online auctions? A) No one really knows. I know of many that I've sold personally, I've also know of many others that have been successful as well. The main thing to realize is the auction method of selling works well. The success, whether live or online all depends on how well the method is executed. Q) What's the secret to being successful with an online auction? A) Good information and Advertising. The online listing needs to contain thorough information about the property, terms that are easy to understand, pictures and a virtual tour, if possible. If the listing is put together well, the other key is to get the word out so people know about it. There are several good Internet advertising sites Free and paid that help along with yard signs, fliers, ads in local publications, etc. In the next few days, I share part 2. Thanks for reading!